LGBT march in Tel Aviv and Haifa. Why was the Second Temple destroyed? Blood red moon over Jerusalem. So what is the necessary action? 63,000 Russian troops have seen combat in Syria, helping the Syrian government to restore control over the country, along with Iranian and Hezbollah forces. Russia has established a permanent naval base in Syria at Tartus, an air base at Khmeimim and a sophisticated intelligence gathering base at Latakia. These bases are protected by the highly advanced Russian air defence systems, S-300 and S-400. In August Russia began massing an armada of warships off the coast of Syria in preparation for an attack by the Syrian army on Idlib, the rebel’s last stronghold in the north of the country. In July the Assad regime, backed by a Russian air campaign and forces on the ground, took back control of the area of southern Syria, which was in the hands of anti-Assad rebels. Hezbollah and other Iranian-backed Shiite militias played a key role in re-capturing the region, thus bringing Russian and Iranian backed forces up to the border with Israel at the Golan Heights. Hezbollah leader Hassan Nasrallah wants to turn the Golan border into an active war zone with Israel as well as threatening to invade northern Israel across its border with Lebanon. Iran has made no secret of its desire to destroy Israel. Recently a senior Iranian leader, Ayatollah Khatami, spoke of Iran’s capability and intention to totally destroy Tel Aviv and Haifa. It has supplied over 100,000 missiles to its allies in Lebanon, capable of hitting Israel, and is seeking to build a permanent presence in Syria. On 26 August Iranian Defence Minister Hatami met with Assad and signed a military cooperation pact with Syria which deepened its military grip on Syria. This pact provides for three large Iranian bases to go up in Syria as hubs for Iranian command posts dispersed across the country, one of which is between Damascus and the Israeli Golan border. Iran and Syria agreed to retaliate for every Israeli or US attack on Iranian or Shiite military forces by attacking Israeli forces on the Golan Heights or US forces in eastern Syria. While Iran makes these threats and hostile actions against Israel, its domestic situation goes from bad to worse, as persistent drought causes food and water shortages, the US decision to reimpose sanctions causes an economic crisis as its currency goes into hyperinflation and discontent against the regime grows daily. This is a good illustration of God’s promise to Abraham and his descendants, ‘I will bless those who bless you and curse those who curse you.’ Genesis 12. There can be no doubt that the curse of God is against the Islamic regime that is ruining Iran today. Russia has given assurances to Israel that it has no hostile intentions towards Israel and said that it will hold back Iranian forces from Israel’s border, although it will not agree to Israel’s demand that they be removed from Syria. Russia needs the Iranians and their allies on the ground to defeat the Syrian opposition. Even after the war is over, the Iranians are likely to remain in Syria, as an occupation army keeping Assad in power. The Russians need Assad in power so that they can maintain their naval and air bases in Syria from where they can project their power into the Middle East. Iran needs to stay in Syria so they can further their penetration of the Arab Middle East and have a base for their goal of attacking Israel. On August 1st Russian officials announced that they had reached an agreement with Israel that Iranian forces would withdraw to a distance of 85 kilometres (nearly 53 miles) from the Israeli border on the Golan Heights. There are doubts about Russia will be able to deliver on this agreement. Given Russia’s track record of treachery and brutality in its actions in Crimea, Ukraine, Syria and the Novichok attack in Britain, there is not much reason for Israel to trust them. It is not difficult to imagine a scenario in which Russia does become an active enemy of Israel. If Israel carries out its stated intention to ‘act against Iran’s military entrenchment in Syria’, and attacks Iranian bases in Syria, it could find itself up against Russia. The presence of Russian warships in the area and Russian supplied anti-aircraft missiles in Syria is already making it more difficult for Israel to attack Iranian targets. 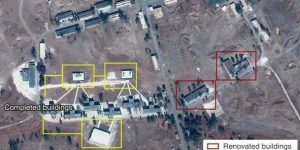 The Israeli military struck more than 200 targets on Iranian weapons bases and convoys carrying arms in Syria in the last 18 months and intends to continue doing so. An added situation has arisen since Iran supplied missiles capable of reaching Israel and Saudi Arabia to its Shiite allies in Iraq. Israel has threatened to attack these. All of this runs the risk of a wider confrontation, even the possibility of a world war. Russia and the United States are gearing up for a confrontation over an imminent offensive by the pro-Assad coalition against a 100,000 men-strong force of the Turkey-backed Sunni Islamist rebels in the Idlib Province in northern Syria. US President Donald Trump warned the Iranians and Russians not to make a “grave mistake” by “recklessly attacking” the last large rebel hub in Syria and has already ordered his military to prepare for a massive response whenever the pro-Assad coalition launches the long anticipated offensive in Idlib. Russia does not seem worried by Trump’s threats and has already started bombing Idlib. At the same time Russia is holding its largest military exercises in 37years known as Vostok 2018 in central and eastern Russia, involving 300,000 men, 1000 aircraft, helicopters and drones and 36,000 tanks, armoured personnel carriers and infantry fighting machines. These are held in conditions as close to combat as possible and involve its airborne units which are ready to move anywhere in the world at a moment’s notice. China is also participating and contributing troops. Israel is also preparing for a war with Hezbollah in Lebanon, which could come soon according to IDF Chief of Staff Gadi Eizenkot. Any conflict with Hezbollah could bring Iranian forces in Syria and even Russian forces into the fray. All of this raises the question, are we on the way to the fulfilment of Ezekiel 38-39, the War of Gog and Magog? This prophecy speaks of an army coming down from the north to attack Israel, led by a great power to the uttermost north (Russia) with allies including Persia (Iran), Togarmah (Turkey) (Ezekiel 38.2-6). According to Ezekiel 38.7-9 this event will happen ‘in the latter days’ after Israel has been gathered back from the nations and has people dwelling on ‘the mountains of Israel’ (Golan Heights or the mountainous area of the West Bank / Judea and Samaria?). Selections from Ezekiel 38 – 9. The reference to the ‘arrows’ could be speaking of missiles to be knocked out by the Lord intervening in the war. After the Lord rescues Israel, He will pour out His Spirit on the house of Israel (Ezekiel 39.29). This is yet another sign that we are living in the last days before the soon coming of the Lord. There have been a number of other significant things happening in Israel, preparing the way for the end time events prophesied in the Bible to take place. Saturday (Shabbat) and Jewish holidays are official days of rest, while Independence Day and Holocaust Memorial Day are official memorial days of the State. ‘The state will be open to Jewish immigration and to the gathering of the exiled.’ It also commits to encouraging the promotion and development of Jewish settlement in the land. This means that it puts into law the resolutions of the League of Nations made at the San Remo Conference of 1920 and the 1922 Mandate of Palestine (based on the Balfour Declaration) concerning the Jewish right to self-determination in the land. It is stating in law that the Jewish people have the unique right to determine the character of the land of Israel, the historic homeland of the Jewish people, open to Jewish immigration, with Jerusalem as its capital. The law was attacked both within Israel and around the world as racist and anti-Arab. It drew condemnation from the media and politicians, particularly from the EU and UN, who said it is discriminatory against Arabs. The Israeli left and Arab population also protested against it, holding a demonstration in Tel Aviv. Defenders of the law said it did not change anything in relation to the civil and human rights the Arabs of Israel have. However, it does deny them the right to change the character of Israel (e.g. change its name to Palestine, establish Islam as its main religion, have Jerusalem as its capital). It also refutes the claim made against Israel by the PLO that the Jews are not native to Israel and are followers of a religion, Judaism, and therefore not a people with a right to claim national self-determination. Therefore, Israeli Jews are simply foreign interlopers, who are negating the Palestinian Arab right of self-determination. Since this claim is made by anti-Zionists in the UN and the EU, Israel felt compelled to declare that the land of Israel has always been the homeland of the Jewish people and that the country of Israel is uniquely the nation-state of the Jewish people. This means that God sees Israel as a people as long as the earth endures. This means that God has preserved the Jewish people during their exile from the land and is responsible for the restoration of Israel to the Jewish people, therefore they have the right to determine the character of the land. Jerusalem – the capital of Israel Or capital of Palestine? In recent times, Jerusalem has been in the hands of the Jewish people as a unified city only since the Six Day War of 1967. Before this it has been ruled by different Gentile powers for centuries, following the destruction of the city and the temple and the dispersion of the Jewish people to the nations. The Babylonians destroyed the first Temple in around 586 BC and the Romans destroyed the second Temple in 70 AD. Remarkably both the first and second Temples fell on the same day in the Hebrew calendar, the ninth day of the month of Av, Tisha b’Av. On this day Jewish people have a day of fasting in which they mourn for the destruction of the Temple. This year Tisha b’Av fell on July 22-3. Just before Tisha b’Av, the Galilee region was hit by an unusual number of earthquakes, which were felt as far away as Tel Aviv and Jerusalem. Although there were no casualties and limited damage, seismologists warned that the region is in line for a major shake up. Breaking Israel News reported the prediction of a mystic rabbi that there would be a major earthquake in Israel before the war of Gog and Magog and the coming of the Messiah, adding to the Messianic fervour sweeping some sections of Orthodox Jews in Israel. On the evening of 22nd July tens of thousands of Orthodox Jews commemorated the event by gathering at the Western Wall to recite the Book of Lamentations. The following morning thousands ascended the Temple Mount (the area of the Al Aqsa mosque and Dome of the Rock), including Temple Mount activists who wish to rebuild the Jewish Temple and are dedicated to preparing the vessels and other materials and resources for the third Temple.Yehuda Glick, a member of the Knesset and leading Temple Mount activist said: ’The Jewish people are coming to the Temple Mount as the realisation of the prophecy. The Jewish people without the Temple Mount is a body without a soul, and we here are beginning to resuscitate the soul. God willing, we will see the building and won’t need to continue to mourn over the destruction.’ The group believes the building of a third Temple is a necessary pre-requisite for the coming of the Messiah. The Muslims who control the area are totally opposed to any Jewish building on the Temple Mount, or the Haram al Sharif as they call it, which they consider to be the third holiest site in Islam. Under an agreement made with Jordanian government, Israel ceded control of the Mount to the WAKF, the Islamic authority under Jordanian authority, after the Six Day War in 1967. After the Jewish visit to the site on Tisha b’Av, Jordan sent a strong letter of protest to Israel, saying Jews who visited the Temple Mount “defiled” the site and were a “provocation” to Muslims throughout the world. This is of course an absurd allegation, but it does speak of fears the Muslims have that something like an earthquake will happen to collapse the mosques. Interestingly the day after Tisha b’Av a large block of stone fell from the Western Wall onto an area where people were praying. No one was hurt, but it was a reminder that the site is not totally stable. Israeli experts have been warning for years that the entire Temple Mount is at risk of collapse, and in need of urgent attention by structural engineers. In Ezekiel 38 we are told that when the armies come against Israel in the war of Gog and Magog we read that there will be a ‘great earthquake in the land of Israel … and every wall will fall to the ground.’ (38.19-20). One view of prophecy is that the war of Gog and Magog comes at the beginning, or before, the seven-year period of the Great Tribulation, and that in the process the mosques on the Temple Mount will collapse, along with the Western Wall. Out of this will come the false peace covenant which will lead the way to the rebuilding of a temple, then to be defiled by the antichrist with the ‘abomination of desolation’, according to Daniel 11 and Matthew 24.15. On a totally different theme, a number of Israelis marked Tisha b’Av with marches for gay rights in Haifa and Tel Aviv. Members of the LGBT community and their supporters went on strike across Israel on Tisha b’Av in protest at a law passed in the Knesset that excludes single fathers and gay male couples from adopting children via surrogacy. Homosexual activists used the command to ‘be fruitful and multiply’ in Genesis, to demand the right to be parents, which they say is a ‘basic human right.’ In reality homosexual acts are by nature incapable of procreation so those who practice them can never be real parents. In addition the Torah clearly forbids homosexuality: ‘You shall not lie with a male as with a woman. It is an abomination.’ Leviticus 18.22. This letter was swiftly condemned by left-wing and centrist lawmakers in the Knesset, and a petition was started demanding that any of the 200 rabbis who draw a government salary should be fired immediately. This incident tells us that as well as the threat Israel faces from its enemies beyond its borders, it also faces a threat from within, as some of its citizens follow the decadent western nations in their assault on biblical family values and promotion of homosexuality. If they did not repent the judgement of God would fall and the Temple would be destroyed and the people taken into captivity. They did not repent and on the ninth of Av the Babylonians broke through the defences of Jerusalem, sacked the city, destroying its Temple and taking the people into captivity. Jeremiah also prophesied that there would be a return of the Jews to Jerusalem and the Temple would be rebuilt. This took place following the decree of the Persian King Cyrus that the Jews should return and rebuild their Temple in Jerusalem. (Jeremiah 29.10-14, Isaiah 44.29-45.6, Daniel 9, 2 Chronicles 36.22-23. The reference in the rabbis’ letter to ‘baseless hatred’ is interesting. ‘Baseless or causeless hatred’ (Hebrew ‘sinath achim’) is the reason given by rabbinic Judaism for the destruction of the Second Temple. In other words the reason God allowed this disaster was hatred of Jews for one another. The problem with this explanation is that it lacks any support from prophetic scripture, whereas there are many passages in the Hebrew prophets giving the reason for the fall of the First Temple. The fall of the second Temple was an even more calamitous event than the fall of the first Temple, leading as it did to the world-wide dispersion of the Jewish people and nearly 2000 years of hostile Gentile powers ruling Jerusalem and the land of Israel. Why did God allow this to happen? According to the New Covenant, this scripture was fulfilled by the Messiah Yeshua, Jesus, coming as a sacrifice for the sin of the world, to be cut off (die a violent death), not for Himself (His own sins) but for the sins of others. This was fulfilled when ‘Messiah (Christ) died for our sins according to the Scriptures, and He was buried, and He rose again the third day according to the Scriptures.’ 1 Corinthians 15.3-4. 40 years after this event the Romans came ‘with a flood’ (invasion) to destroy the city (Jerusalem) and the sanctuary (the Temple) as Daniel said would happen after the coming of the Messiah. Jesus prophesied the Roman siege of Jerusalem and the terrible events of 70 CE when the city would be levelled to the ground and the Temple destroyed by fire and not one stone of the building left standing. He also gave a reason for it ‘because you did not know the time of your visitation’, in other words you failed to recognise the Messiah coming to you in the person of Yeshua / Jesus the Messiah. In this verse Jesus prophesies the siege of Jerusalem and the dispersion of the Jewish people into the nations. He also says that Jerusalem will be trampled or ruled by Gentile powers ‘until the times of the Gentiles are fulfilled.’ This indicates a return of the Jewish people to the land and to the Lord in the last days of this age, during which time the Gentile power over Jerusalem will be broken. Jerusalem is not yet free from the rule of the Gentiles. We see the Temple Mount currently under the control of the Muslims and the Gentile nations seeking to impose a solution on its status, which would divide the city, making its eastern side, where the Old City is, the capital of Palestine. We see many of the Jewish people going into the ways of the Gentile nations, alternative sexual life styles and religious practices like yoga and New Age which are in conflict with the teaching of the Torah. We also see the Orthodox Jews strongly rejecting Yeshua as the Messiah, while looking for their own messiah to come and save Israel. Following this the same Messiah Jesus will return, standing on the Mount of Olives to the east of Jerusalem as He comes in power to bring an end to the war and set up His Messianic kingdom ruling the renewed earth from Jerusalem. 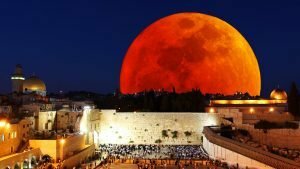 Coming back to the subject of Tisha b’Av, a week after this event there was an eclipse of the moon which was visible over much of the northern hemisphere. It was particularly visible over Jerusalem, taking place on the minor Jewish festival of ‘Tu b’Av’. In contrast to Tisha b’Av, Tu b’Av is a joyful festival celebrating wine, marriage and love. This event in Jerusalem was manifestly not the fulfilment of Joel 2, which will happen just before the ‘great and awesome day of the Lord’ (which is also the second coming of Jesus the Messiah). However this and the other items mentioned in this article are a reminder that we are on the way to the fulfilment of this incredible event when ‘The Redeemer will come to Zion, and to those who turn from transgression in Jacob,” says the Lord.’ Isaiah 59.20, Romans 11.26. The Redeemer is Yeshua, Jesus the Messiah, coming the second time to save His people Israel and turn them from sin to faith and salvation. Now is the time to get ready to meet Him! In the Summer of 2018 the Earth experienced one of the most intense heat events ever seen as temperature records worldwide were shattered by an unusual global heatwave in June through to August. 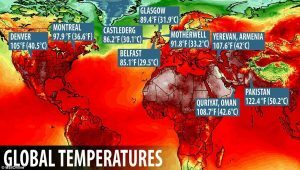 Cities across the Northern Hemisphere witnessed extreme temperatures, with records breaking in North America, Europe, the Middle East, and Asia. What was unusual about this event was the fact that it was spread right across the northern hemisphere from east to west, from north to south. Parts of Britain experienced almost two months with hardly any rain and extremely high temperatures as our green and pleasant land became a brown and barren one. Farmers reported water shortages, lack of forage for animals, and poor growing conditions for crops, all of which will cause poor harvests and rising food prices. Extreme heat and record-low rainfall turned German farmland into a scorched wasteland, causing massive losses, according to farmers. The fertile breadbasket of Saxony-Anhalt in eastern Germany was as dry as dust, as wheat in the fields caught fire and burned. A severe heatwave in Japan caused at least 30 deaths and more than 12,000 people to be hospitalised as temperatures reached 40.7 C (105 F). Similar temperatures have also hit the Korean peninsula, with North Korea warning of an unprecedented natural disaster affecting rice and wheat production. Pakistan posted temperatures over 50C (122.4F), while in Oman the temperature remained over 108.7°F (42.6°C) day and night. Sweden experienced its highest temperatures for a century, causing more than 50 wildfires above the Arctic Circle. A terrible fire in Greece killed over 100 people near Athens, while in Spain and Portugal the temperature hit 47C, 116F, setting off forest fires across the region. 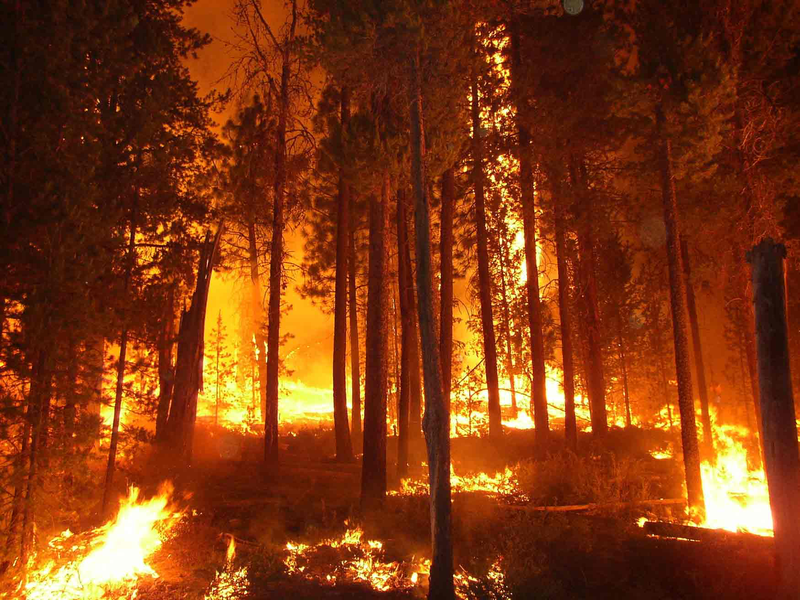 There have been huge forest fires in California, forcing people from their homes. As trees are burned up it causes a further warming process as trees absorb heat and help keep the climate equitable. Many areas of the world have experienced severe drought, including south west USA, New South Wales in Australia, the area where a quarter of Australia’s food is produced and South Africa where the city of Cape Town almost ran out of water. 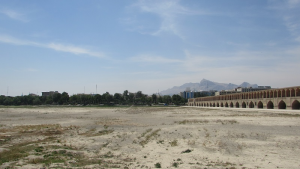 Both Iraq and Iran have seen rivers and lakes dry up, with riots taking place where people have no water. 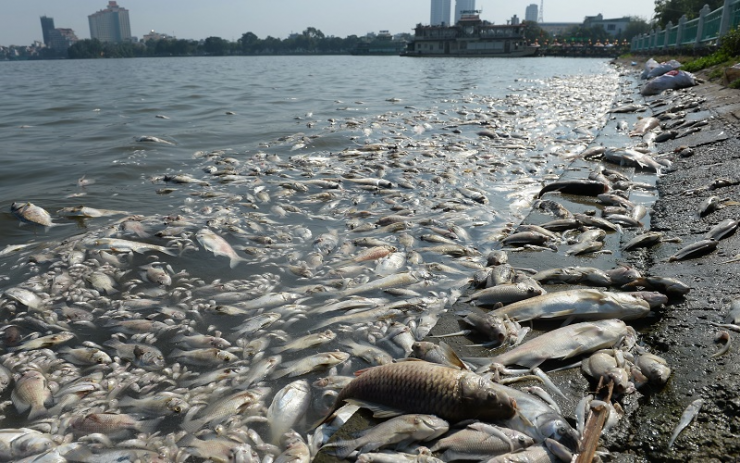 As rivers have run dry, fish and wild animals have died for lack of water. Some of the most alarming signs of changing climate and environment have been seen in the Arctic. In Northern Siberia, along the coast of the Arctic Ocean temperatures soared 20°C (40°F) above normal on July 5, to over 30°C (90°F) giving the area a ‘true roasting.’ Warming over the Arctic area is causing a number of changes which effect the whole climate, resulting in loss of sea ice and more rapid destruction of the permafrost (areas which were previously constantly frozen). In Siberia the permafrost melt is causing sinkholes which release methane gases previously trapped underground and sometimes catch fire. This process is releasing more carbon into the air and raising temperatures. This process speeds up the warming of the Arctic, called the Arctic Amplification, and ends up weakening the polar jet stream, which usually protects lower latitudes from the cold temperatures up north. This leads to a change in the direction of the jet stream and brings both extreme heat and extreme cold as has already happened in 2018. While all this was happening there was a dramatic spike in the number of earthquakes. Any earthquake above magnitude 4.5 is described as being significant. There were 53 earthquakes that met that criteria on Sunday 16 August alone and 144 between 14 and 21 August. The largest of these was a massive magnitude 8.2 Fiji quake which could have done enormous damage if it had been closer to the surface. Venezuela, not normally in an earthquake zone, was hit by a large 7.3 quake which was felt around the Caribbean. Apart from the quake on the Indonesian island of Lombok, which killed hundreds of people, these did not cause significant loss of life. However the total number of earthquakes was more than 50% above normal. Volcanoes are also increasing in frequency indicating that something unusual is happening to the crust of our planet. 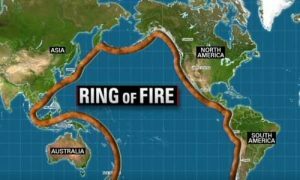 Ring of Fire – earthquake zone. Just an unusual event, a one-off event that happens now and again? The shape of things to come as Global Warming takes effect? A sign of the last days of this age preparing for the Biblical prophecies of Revelation to be fulfilled? If this is just a glitch, an unusual event, it not a matter of much concern. It has brought some temporary distress, but next year may be completely different. Climate is changeable by nature, dependent on all kinds of complex factors, some of which are impossible to predict. As I write this article in London in late August, we have gone back to Britain’s normal cool and showery weather. Burning of fossil fuels (coal, oil and natural gas) which releases carbon dioxide. Deforestation, which removes the trees that take carbon dioxide from the atmosphere. The greenhouse effect happens because greenhouse gases (any gas with at least 3 atoms) stop some of the sun’s infrared radiation escaping out to space. The gases use the captured energy to produce heat. More and more of the greenhouse gases means more and more heat, all over the planet. 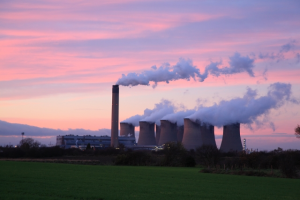 Climate change activists say human activity is largely responsible for this as we burn fossil fuels in our cars and planes and power stations needed to create electricity to keep the industrial system going. The answer proposed by the environmentalists is to switch to renewable sources of power, wind, solar or nuclear power, and to cut back the use of cars and planes and follow the policies adopted at the Paris Climate Change agreement in 2012. 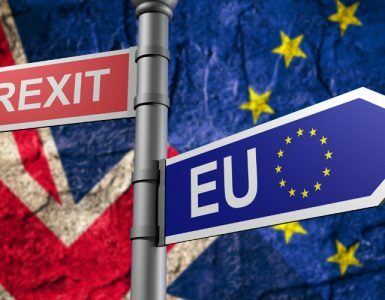 Some say these proposals are too little too late, and the agreement lacks the power to be enforced as shown by Donald Trump’s decision to remove the USA from the agreement. A more drastic solution would be to stop burning coal, oil and gas altogether, dismantle the present industrial system and go back to a pre-Industrial Revolution agrarian society. Beyond this some are saying the only solution is a drastic reduction of the earth’s population. No national government is going to agree to do that, since it would involve a reorganisation of society which would be virtually impossible to achieve. It we would need a world government with power to overrule national governments. Climate change sceptics dismiss the global warming theory as a scam, being perpetrated by unproven science and opponents of capitalism, who want a world government under the UN. 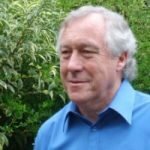 A report to the EU by UKIP member of the European Parliament, John Stuart Agnew, claims that climate change is not the result of human activity, and burning CO2 has a negligible effect on our climate. It attributes changes to cosmic ray fluctuations, gravitational pulls from elsewhere in the galaxy, sunspot activity, ocean currents and greenhouse gas water vapour in the form of cloud cover. Another report on the website Space Weather claims that the earth is heading for a big freeze because the sun has been totally void of sunspots for most of 2018, causing the sun to experience what is known as a ‘solar minimum’. The last time there was a prolonged solar minimum, it led to a ‘mini ice-age’ for 70 years from 1645 to 1715, scientifically known as the Maunder minimum. In addition to all this we have claims that China is interfering with the world’s weather as it launches weather control systems as well as conspiracy theories that the US based HAARP project is interfering with the weather or that chemtrails left behind by aircraft are affecting it. With so much conflicting information we can end up bewildered and confused by what is going on. What is clear is that we are seeing an increase in extreme weather events, heatwaves, droughts and floods and storms. The Bible indicates such things happening will be a feature of the last days of this age. It also implies that human mismanagement of the planet will play a part in this situation. It is interesting that people refer to the fuels said to be causing global warming as ‘fossil fuels.’ Evolutionists explain the formation of fossil fuels as the result of millions of years of vegetation and animals dying and becoming fossilised. But animals and vegetation dying in the normal way do not form into fossils or coal or oil. They just rot in the ground and are recycled into the soil. The creationist view is that the fossils and fossil fuels were formed suddenly as a result of a great cataclysm on earth, the Flood of Genesis 6-9, when millions of living things were crushed together by the waters of the great flood. The flood was God’s judgement on a society in which ‘the wickedness of man was great in the earth’, ‘corrupt in God’s sight’ and ‘filled with violence’ (Genesis 6.5,11). Jesus prophesied that it will be ‘as in the days of Noah’ in the days before His return. Is it possible that the material left behind by Noah’s Flood will be a factor in the events of the Great Tribulation, the final 7-year period before the return of Jesus Christ to the earth? The chapter points to human responsibility for this situation when it speaks of the earth being ‘polluted under its inhabitants’ who are breaking God’s laws and inflicting their transgression upon it. A denarius is a days’ wages in the Roman Empire, so the implication is that a day’s wages will only buy you a tiny amount of food, insufficient to live on. According to Genesis, the earth has been affected by two major events. The Fall of Genesis 3, in which sin and corruption entered the earth, affecting the created world and changing it from the ‘very good’ earth which God created to one which would bring forth ‘thorns and thistles’ symbolising a fallen earth, subject to death and decay. Secondly the catastrophic worldwide Flood of Genesis 6-9 changed the conditions on earth, including the climate, causing the earth to be much less fertile and habitable. Describing the world after the Flood God speaks of ‘cold and heat, summer and winter’ for the first time, indicating this change in conditions on earth (Genesis 8.22). The scriptures we have looked at in the article indicate that in the last days of this age there will be a further decay in conditions on earth, causing the creation to ‘groan and labour with birth pangs’ as Paul writes in Romans 8. The image of birth pangs is often used in scripture for describing the period of the great tribulation leading to the second coming of Christ. It is in this period that earth will see the catastrophic conditions described in Revelation earlier in this article. Revelation implies a human responsibility for all this when it says that the Lord at His coming ‘will destroy those who destroy the earth.’ Revelation 11.18. Today we see forests burned down, rivers and seas polluted and temperatures rising, and a mass extinction of animals and fish on the face of the earth. This is the one of the signs that we are in the ‘beginning of sorrows’, the period leading up to the Great Tribulation. These scriptures indicate that He will renew the earth in a wonderful way, which only God can do. He will cleanse it from the pollutions of the present evil age after the fall of the Babylon political and economic system that now controls the world under Satan’s power (Isaiah 14.3-21, Revelation 18, 20). Note that in Isaiah 14.21 it says that the Lord will cut off the evildoers, ‘lest they rise up and possess the land, and fill the face of the world with cities’. This suggests that the Messianic kingdom will be an agrarian society which is sustainable and works for the well-being of all its citizens, dismantling the military – industrial system of the present time (Isaiah 2.1-4, 11.3-9). At this time Satan will be bound and unable to influence the world (Revelation 20.1-3). The Lord Himself will be present amongst the redeemed people of the earth bringing His peace and justice to the earth as it experiences its final period of 1000 years of rest under the rule of the Messiah. When Jesus asked this question, He was talking to the disciples about the importance of prayer and not losing heart. This is something those living in the last days before Jesus’ return need to take on board. At this time Christians will be tempted to lose heart and give up in the face of a world that for the most part rejects the message of the Gospel and opposes those who believe it. One way not to lose heart is to keep alive the hope of the return of the Lord Jesus. In this verse He spoke of this coming event as one which is definitely going to happen: ‘When the Son of Man comes.’ When Jesus says something is going to happen we can be sure that it will happen. Maybe not as soon as we would like it to happen, which is a reason why He tells the disciples to keep on praying and believing, whatever the response to their prayers or the circumstances of their lives. Jesus spoke prophetically about a number of things, all of which either have come to pass, or are coming to pass now, or will come to pass at His Second Coming. He told the disciples that ‘He must go to Jerusalem, and suffer many things from the elders and chief priests and scribes, and be killed and be raised the third day.’ Matthew 16.21. It happened exactly as He said it would and as prophesied in the Hebrew Bible – Psalm 22, Isaiah 53, Zechariah 12.10. He was put to death by crucifixion at the time of the Passover in Jerusalem, and rose again from the dead on the third day. The world considers this to be an impossibility and many Christians have their doubts about how it could happen, but the Bible makes it clear that Jesus intends to return to the earth. He will not come as He came the first time, as the Suffering Servant of the Lord, to die as the sacrifice for the sins of the world. At His Second Coming He will come as King of kings and Lord of lords, with all the power of God at His disposal to judge the world in righteousness. He will bring in the Messianic kingdom, ruling on earth for 1000 years, before bringing this world to an end and creating the new heavens and new earth in which He will reign forever with those He has redeemed from the earth (Revelation 20-21). All of this is certain to happen. Jesus never said ‘If the Son of Man comes,’ but ‘when the Son of Man comes’. What is left in question is the second half of this phrase, ‘Will He find faith on the earth?’ Jesus does not give an answer to this question. He is looking for us to give Him the answer. Nearly 2000 years later we find ourselves living in a time when many of the signs given in the Bible for the events that will lead up to the return of Jesus are being fulfilled. So what will be the state of faith at the time when Jesus returns? Will there be great numbers of believers, or a small minority? Some tell us that there are a great number of ‘people of faith’ in the world today. For example Rick Warren, author of the best-selling book ‘The Purpose Driven Life’ launched a global PEACE plan which aims to enlist ‘one billion foot soldiers for the Kingdom of God’. He hopes to recruit them from 1.2 billion Christians and about 1 billion Muslims in the world today. Since Christians and Muslims claim to have some kind of faith in God and belief in Jesus that would seem to be quite a good total of the world’s population. We have also had prophecies given of a great revival coming, which will sweep whole cities and nations into the kingdom of God as great signs, and wonders are done in the name of Jesus. 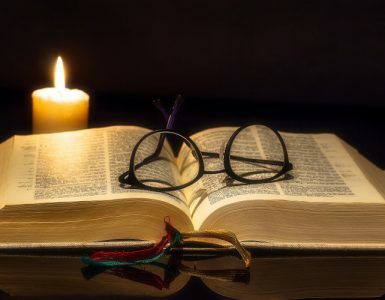 At the same time reports and surveys speak of a general decline of Christianity, especially in Europe, where society has adopted a secular life style and a multi faith diversity agenda that strongly rejects biblical Christian faith and practice. As we wrote in our April 2018 edition, Open Doors reported that around 215 million Christians are being persecuted for their faith around the world, in particular in the Middle East, where traditional Christian churches are being driven out by radical Islam. There are areas of growth, with some very large churches in America and parts of Africa and China, but often this growth is at the expense of sound doctrine and Bible teaching. We should be baptised as a result of coming to this saving faith. Acts 2.38, 41. Those who accept Jesus as Saviour and Lord receive the Holy Spirit. Acts 2.38-9. We should be saved from (not conform to) this ‘perverse generation’ (i.e. the world that rejects the message of the Gospel). Acts 2.40. This eliminates a vast amount of today’s religious activity, which may claim some allegiance to the name of Jesus, including, Roman Catholicism, the ecumenical movement, liberal Christianity, Islam, inter faith, New Age, Jehovah’s Witnesses and other cults. Islam promotes Jesus as a prophet, who was born to a virgin and did many great things. But it denies that Jesus is Lord (God) and that He died on the cross as a sacrifice for the sins of the world and rose again from the dead. In doing this it rips out the heart of the Gospel. It makes Jesus into a junior prophet, who was superseded by Mohammed as the last of the prophets. It denies the relationship between the Father and the Son. According to 1 John this is a sign of the influence of the spirit of antichrist: ‘Who is a liar but he who denies that Jesus is the Christ? He is antichrist who denies the Father and the Son. Whoever denies the Son does not have the Father either; he who acknowledges the Son has the Father also.’ 1 John 2.22-23. Despite this many church leaders today are saying that Christians and Muslims worship the same God and should work together for the kingdom of God. Roman Catholicism denies the Apostles’ teaching by adding church teaching and its own traditions to the New Testament. It elevates Mary to the position of Queen of Heaven and calls on her to ‘pray for us sinners in the hour of our need.’ This means that that Mary has a role to play in our redemption, which she does not. There is one God and one mediator between God and man, the man Christ Jesus. (1 Timothy 2.5). The Roman Catholic doctrine of the Mass denies that the once and for all sacrifice of the Lord Jesus on the cross is sufficient to redeem us from our sins. It teaches that the bread and wine are transformed into the literal body and blood of Jesus and that its priests continue to offer the sacrifice of Jesus when they celebrate Mass. The Catechism states that Jesus ‘continues to offer himself in an unbloody manner on the altar through the ministry of his priests.’ This contradicts reason and scripture. The Roman Catholic Church baptises babies (as do the Anglican and Orthodox churches) who cannot make any response to the Gospel by repentance and faith. In his talk to families at Croke Park in Dublin on August 25th the Pope said Catholics should ‘baptise their children as soon as possible so that they can become part of this great family of God. If a child is baptised the Holy Spirit immediately is poured into his or her heart. And for this reason we have to baptise them right away.’ This is a deception which leads millions of people to believe they are Christians when they are not. Saying a prayer and sprinkling a bit of water over a baby does not make him or her a Christian who receives the Holy Spirit. Babies cannot repent and believe the Gospel, the condition for baptism into Jesus Christ and receiving the Holy Spirit according to the Apostles’ teaching. Despite all the errors of Rome, much of the Protestant Church is now saying we are one in the faith and must work together with the Roman Catholic Church to spread the Christian message, rather than obeying the scriptural teaching to ‘Come out of her my people lest you share in her sins and partake of her plagues.’ Revelation 18.4. In much of the western world we have the ‘diversity agenda’ which requires us to affirm that ‘all gods are equal’ and all paths lead to God. Many church leaders, including the Pope, have affirmed that believers in all religions are children of God and walking on the same path to life. Therefore we should engage in inter faith dialogue with people of other faiths, but not try to convert them to faith in Jesus Christ. This denies the principle of Apostolic teaching that there is salvation in Jesus Christ alone and there is ‘no other name given among men by which we must be saved.’ Acts 4.12. We have also all manner of New Age mystical ideas, which sometimes make Jesus into a guru, a great teacher and an avatar (one of many manifestations of God), but never the one unique Saviour of the world. Throughout the western world we have multitudes of people taking up yoga as a means of following a spiritual path, or finding inner peace. Yoga is based on Hindu philosophy of discovering ‘god within you’ through meditation and yoga poses. Yoga teacher Maharishi Mahesh Yogi says, ‘Man is divine, the inner man is fully divine. Be still and know you are God. When you know you are God you will begin to live Godhood.’ This is radically at odds with the Bible’s teaching, a repetition of the serpent’s lie, ‘You shall be as God’ (Genesis 3.5). We do not find our inner divine nature within ourselves, but the sinful human nature which separates us from God. We need to repent of sin and believe the Gospel to know God in spirit and in truth. You can test every cult that deviates from the truth by these verses. They will always deny that Jesus is the Son of God, equal with the Father and the Holy Spirit, who is uncreated and eternal in His nature and ‘has come in the flesh’. By this we understand that He came as a man on the earth by virgin birth and was fully God and fully man, paying the price for our sins through His death and resurrection. In addition to the cults we have to say that much of the theology taught in liberal Bible colleges which prepare pastors to teach in churches denies these truths as well. There is a great deal more I could say about some of the deviations coming into Christianity. Examples are the prosperity Gospel, ‘name it and claim it’, kingdom and dominion teaching, the Gospel of self-esteem and the idea that God loves us as we are and that we are all children of God without having to repent and believe the Gospel. Sadly those who are on the broad road leading to destruction (hell) include multitudes of religious people who think they are all right with God, but are not. It is not too late to leave that broad road and get on the narrow road that leads to life. This is why we need to use the time that remains to tell people about Jesus and the salvation available in His name. Please Subscribe to get notified whenever there is a new post.